Swath bathymetry equipment provides information about the depth of the water by sending fan shaped beams towards the bottom. It can be done using two types of sonar, different from operational points of view: conventional multibeam (MBES) and interferometric sonars. Our multibeams are pole-mounted or mounted on autonomous vehicles. AUVs have the advantage of high performances at low costs and energy consumption and are suitable for open waters. Pole mounted devices have the advantage of providing real-time coverage, important for assuring full coverage in areas with high bathymetry variations. 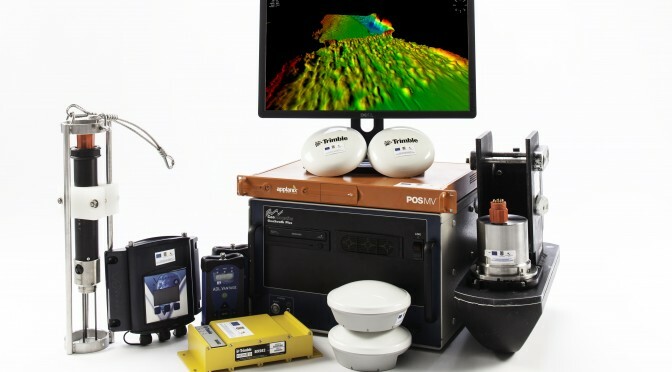 The Kongsberg GeoSwath Plus Compact interferometric sonar is the lightest product in the GeoSwath family. The working frequency is 500 kHz. 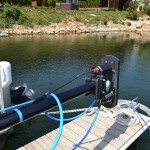 It provides both underwater sound imaging and bathymetry in high resolution. The sound emission is similar to side-scan sonars, but the reception of the scattered signal is done by an antenna array. The phase difference of the returning signal is used to calculate the grazing angle. The distance to the target is computed by precisely knowing the speed of sound in the water column. Each ping provides a cloud of approximately 5000 points distributed over the swath. It can track the bottom to a depth of 50 meters. The covered swath can reach to 12 times the water depth, with a maximum of 190 m. It receives signal over an angle of 240⁰, being ideal for measuring up to the waterline, e.g. 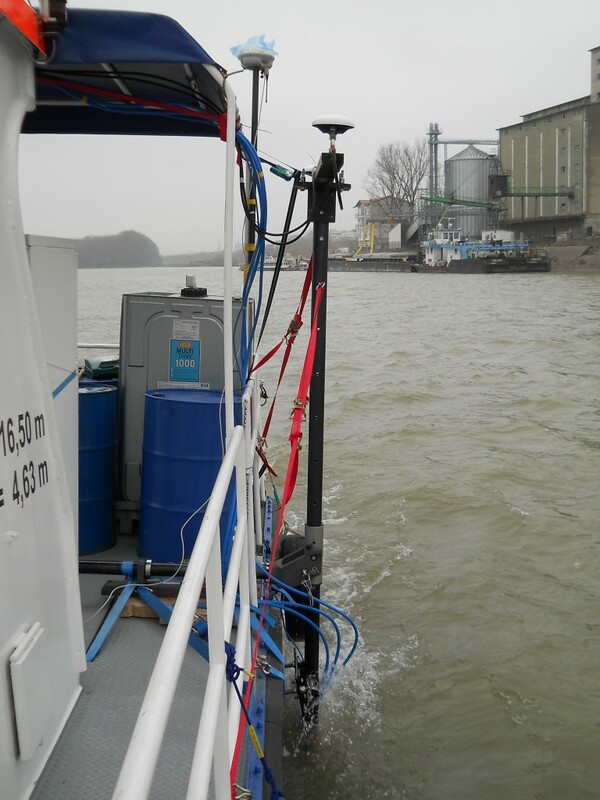 from bank to bank in rivers, a huge improvement from traditional multibeam systems. 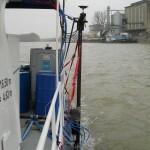 The positioning is done using an Applanix POS MV SurfMaster system, incorporating high quality inertial sensors with GPS/DGPS. The product was released in 2015. The precision of the positioning is improved by RTK corrections radio transmitted from a Trimble BX982 base station to Pacific Crest ADL Vantage rover. The solution provides a sturdy georeferencing of the data. The Kongsberg GeoSwath Plus Compact 500 kHz is the best choice for working in extremely shallow water, especially from 0 to 15 m deep, where its high frequency provides high resolution. The Kongsberg GeoSwath Plus interferometric sonar provides both underwater sound imaging as well as bathymetry. The working frequency is 250 kHz. Sound emission is similar to side-scan sonar. Reception of the scattered signal is done by an antenna array. The phase difference of the returning signal is used to calculate the grazing angle. The distance to the target is computed by precisely knowing the speed of sound in the water column. Each ping provides a cloud of approximately 5000 points distributed over the swath. It can track the bottom to a depth of 100 meters. The vertical resolution of the bathymetric data can get down to 3 millimetres. 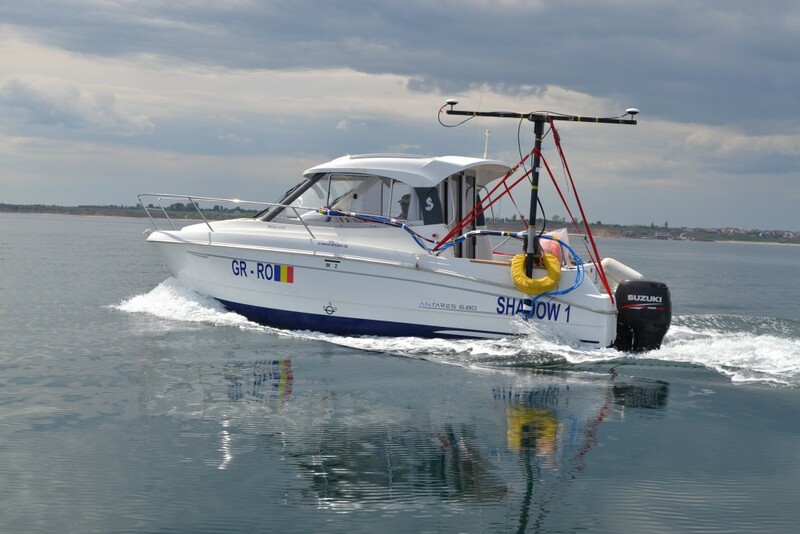 The covered swath can get up to 12 times the water depth, a huge improvement from traditional multibeam systems, providing more coverage, reducing the survey time and greatly improving safety when surveying in hazardous shallow waters. The positioning is done using an Applanix POS MV WaveMaster system, incorporating high quality inertial sensors with GPS/DGPS. The precision of the positioning is improved by RTK corrections radio transmitted from a Trimble BX982 base station to Pacific Crest ADL Vantage rover. The solution provides a sturdy georeferencing of the data. 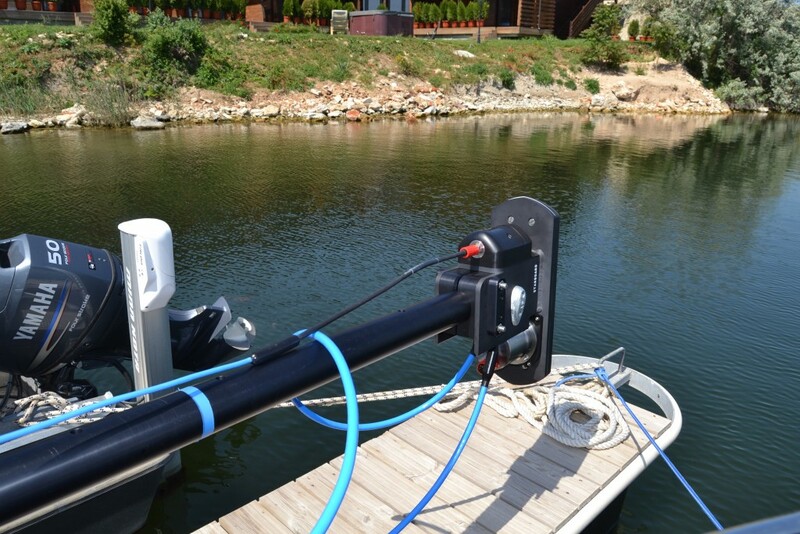 This device is the best choice for working in shallow water, especially from 5 to 100 m deep, where its high frequency provides high resolution. The L-3 Klein UUV-3500 is mounted on an OceanServer Iver3 AUV. 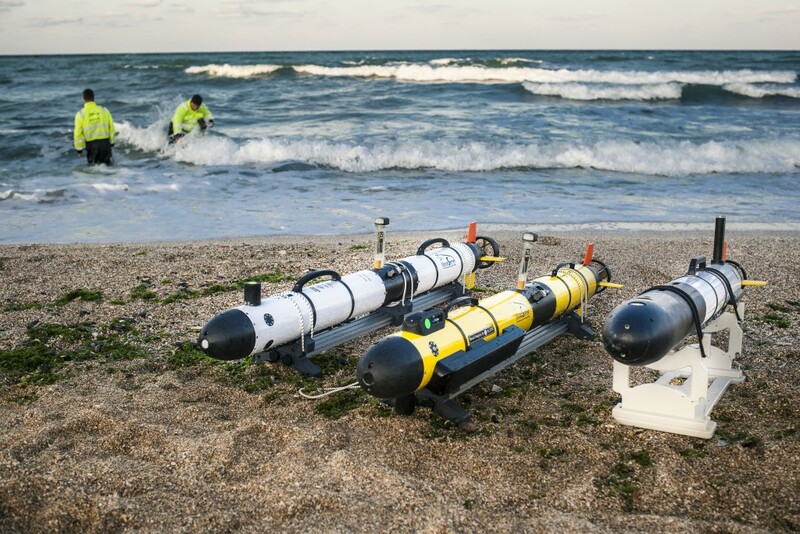 The AUVs (Autonomous Underwater Vehicles) are the latest vector in marine researching being submersible platforms that can incorporate various payloads, according to the project needs. It is an interferometric sonar, providing both bathymetry and side-scan. It can typically cover a swath 10 to 12 times the altitude above seafloor at a working frequency of 455 kHz (900 kHz only for side-scan imaging) with 0.48° along track resolution and 4.8 cm across track resolution. 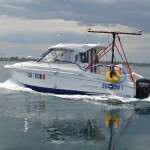 The OceanServer Iver3 has a working autonomy of more than 8 hours and is 100 m maximum depth rated. 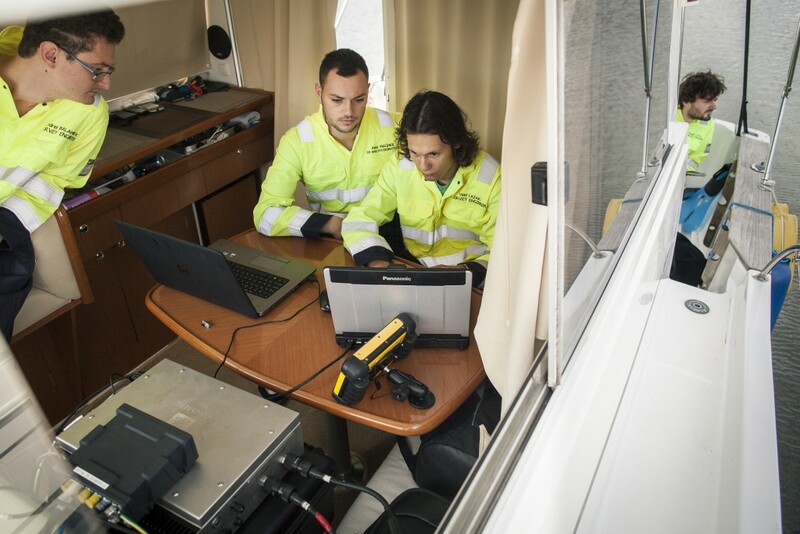 The navigation is done using GNSS at surface and underwater through Teledyne RDI DVL and inertial sensors and communicates via IRIDIUM satellites, Wi-Fi and Teledyne Benthos Underwater Modem. Onboard there is an AML sound velocity probe. The Imagenex Delta T multibeam acoustic mapping system is mounted on the Ocean Server Iver 2 AUV. The sonar provides high precision 3D models of the bottom. The mounting on AUVs provides greater mobility, including shallow waters. It can use 120, 240 and 480 beams in a 120° fan for a better control of the resolution, at a frequency of 260 kHz. The resolution can get up to 0.2% of the swath, in waters as shallow as 0.5 meters. 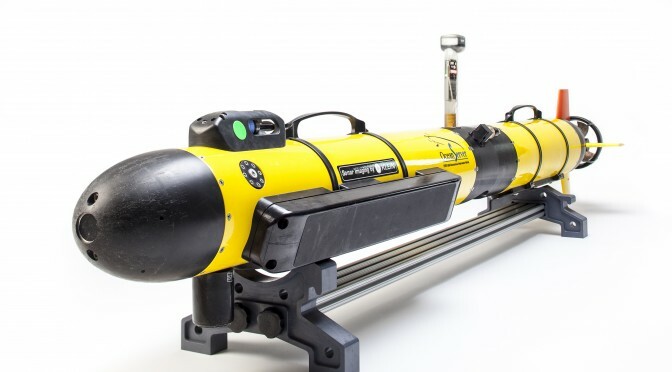 The OceanServer Iver2 AUV has a working autonomy of more than 8 hours. It navigates using GNSS data on surface and Sontek 6 beams DVL and inertial sensors underwater. The communication is done using Wi-Fi and IRIDIUM satellites. 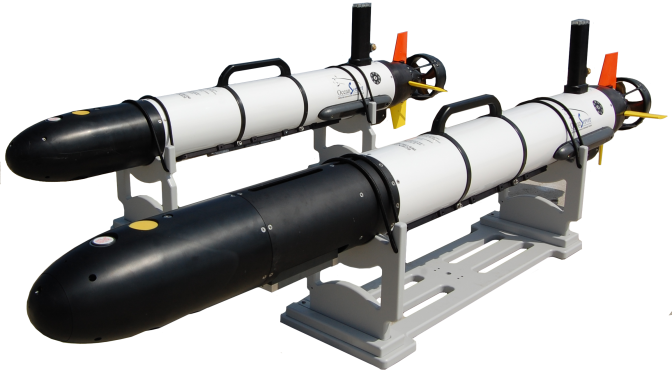 OceanServer Iver2 is 100 m depth rated and is equipped with CTD sensors.